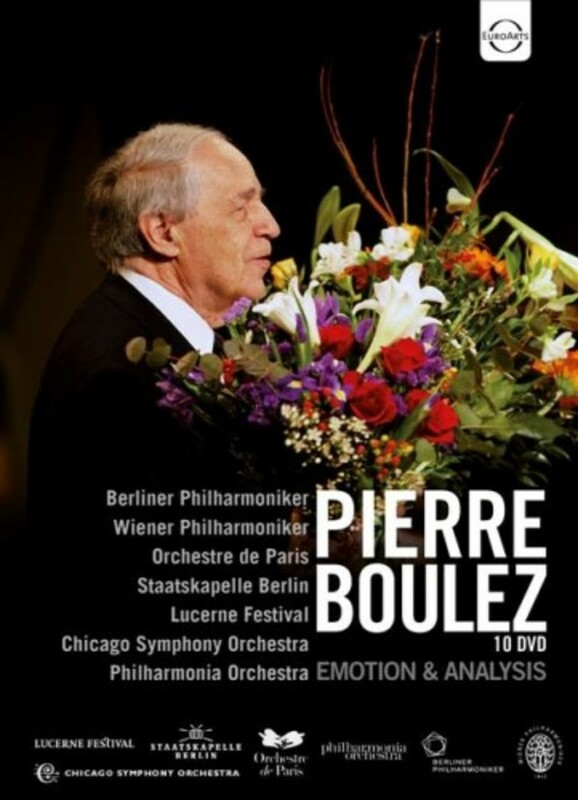 This DVD-Box, a compilation of 10 DVDs, pays homage to Pierre Boulez in honour of his 90th birthday on the 26th of March, 2015. Not only do we celebrate a great conductor and composer, but also his creativity and effort in supporting young, aspiring musicians, as a teacher and mentor as well as with his open and progressive approach to composition, and to music in general. These fantastic productions each represent a stage in the great conductor�s life, thereby granting the viewer deep insights into the activities and growth of a musical legend, revealing motivations, projects, opinions and personal information through enlightening interviews. Here are 3 documentaries and 9 concert productions put together into one captivating Boulez-Box.